I shared a bit of this outfit last week, but wanted to feature it as we head into holiday work-wear season. I also wanted to highlight this great mid-length black strapless dress that's gorgeous and comfy for the holidays but also double as a beach cover-up. Yep... you'd never believe. Check Divissima out for more info on their beachwear from Italy. We had an absolutely lovely Thanksgiving here in Portland. Ben and I decided to stay in the city as we both had work immediately preceding the break and Ben is in the middle of a quarter and has constant studying to do. We had Ben's Mom come to town to celebrate with us and decided to make a non-traditional Northwest Thanksgiving dinner. We cooked up wild rice stuffed acorn squash, lemon and dill salmon, a grape, walnut and feta salad, and finished with a berry cobbler and pumpkin pie with fresh whipped cream. We also had two bottles of fantastic Pinot Noir and a bottle of prosecco for dessert. All in all it was low-key, not-stressful and there were no tears (which I can't say for last Thanksgiving when we had a turkey and wine fiasco). On Black Friday I finished up my Christmas shopping in town and we picked up a Christmas tree at a cute U-Cut farm in Hillsboro. It was about 34 and the ground was hard with frost, but we chose a gorgeous six foot noble fir and it's currently glittering in the living room with presents all wrapped underneath. What a fantastic start to the season! Hope you had a fantastic Thanksgiving and successful Black Friday! 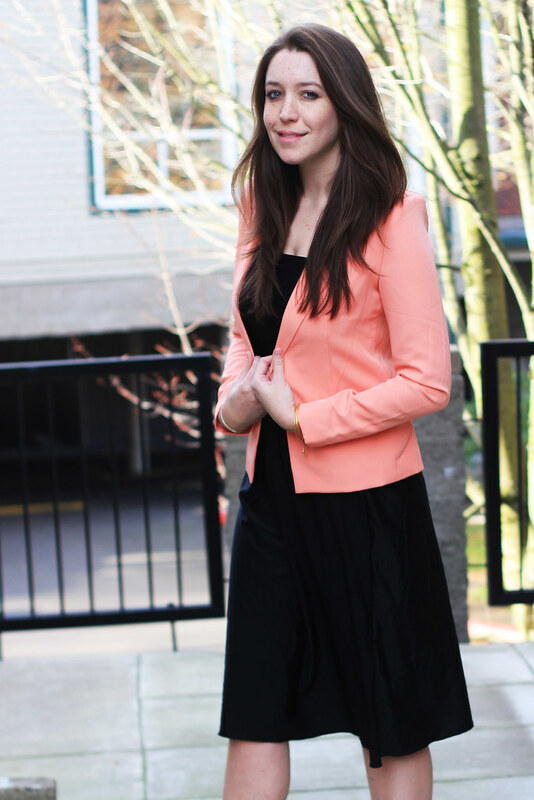 Be sure to enter the Nordstrom giveaway to keep the spirit going here. I love that coral color on you. Dear, you look amazing! Love your pinky jacket! Love love love that blazer on you!!! This is such a great outfit on you! You are glowing. 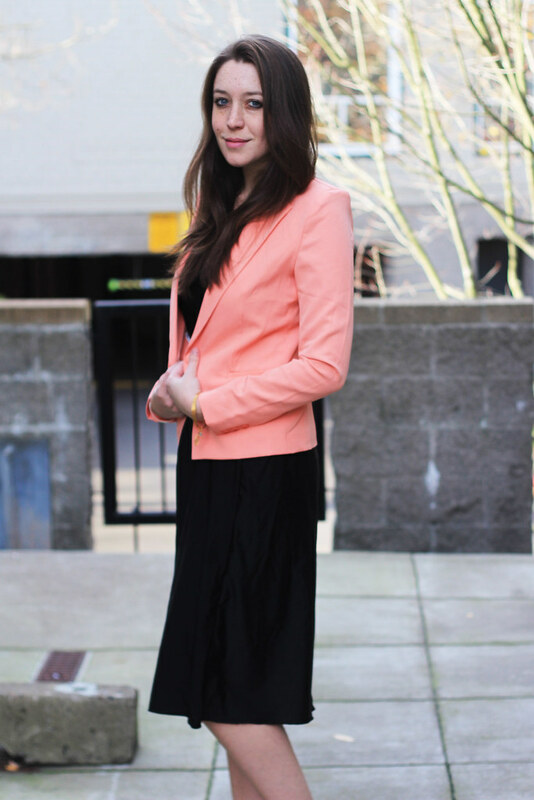 I'm loving the blazer on you! Really elegant, loved the touch of leopard!